This article walks you through the process of removing filament, and storing it. Sometimes you may need to remove filament from your Inventor IIS. This is usually for changing colours, or storing filament if not being used for more than about a week. 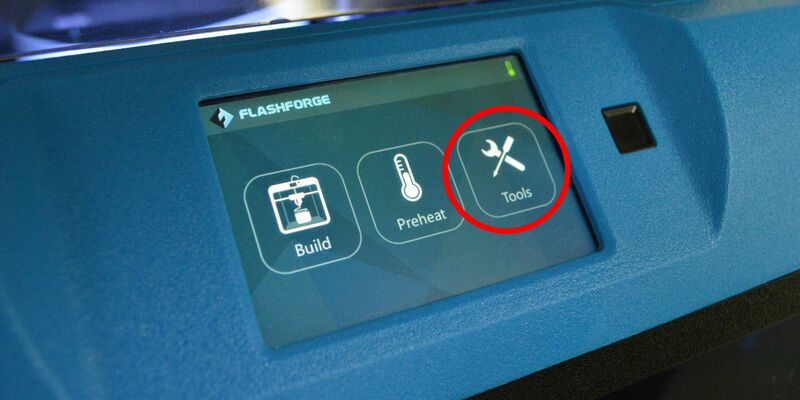 ie over the holidays, or periods of time where there may not be 3D printing projects. 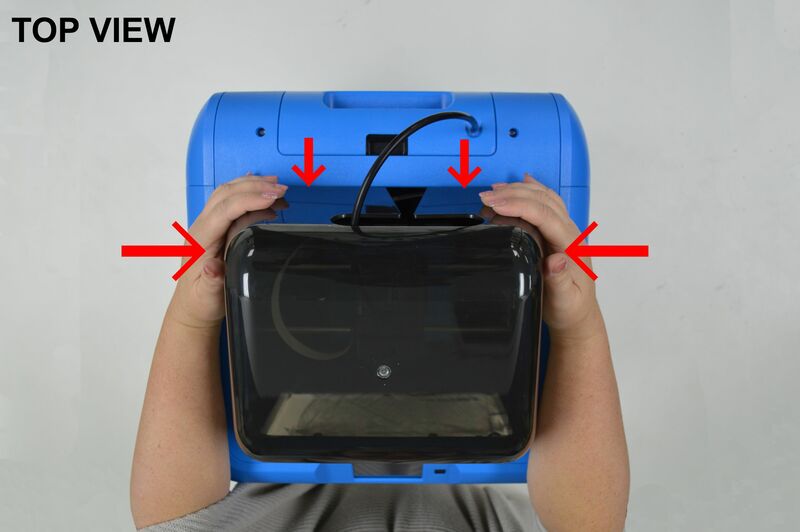 Remove the particle fan from the back of the lid. Pull back the black tube to expose the filament itself. 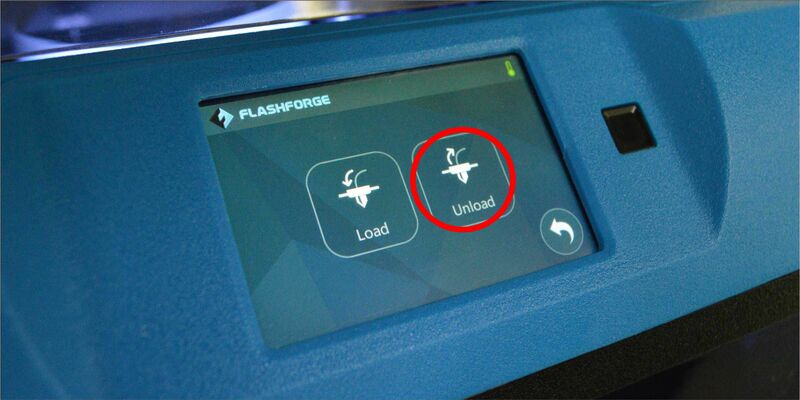 Navigate through 'Tools' > 'Filament' > 'Unload'. Then wait a few minutes for the extruder to heat up. Once the printer has warmed up, it will sing to you to let you know that it's ready. At this point you can push the spring lever down and lift the filament vertically out of the extruder. TIP: If you experience difficulty in lifting the filament out, push it back down into the extruder and it will soften the end so it can come out smoothly. Cut the rough end of the filament off and remove the filament holder from the back of the machine by pressing the black lever and lifting upwards. Being very careful not to let go of the end of the filament, lift the roll out of the filament holder and pull the filament back through the black tube. Then tightly wind it back around the roll and push the end through the gaps in the roll. These keep it from loosening and getting tangled. To keep your PLA filament from getting moisture damaged, you should place it in a sealable bag with any silica gel packets you have (one included with the filament). Then store it in a dry area. 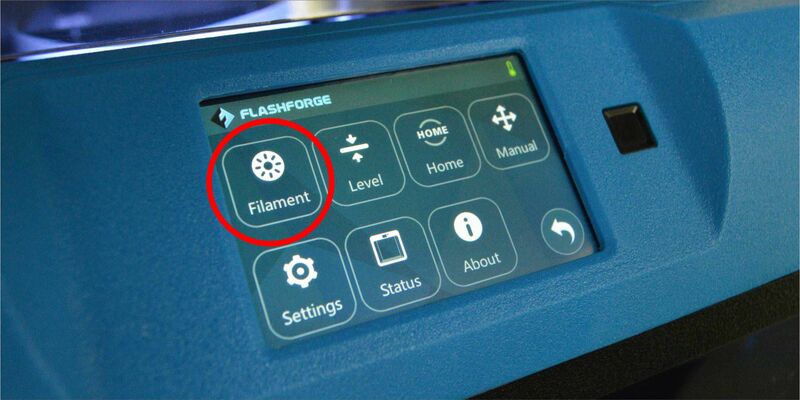 Place the filament holder back into the printer and put the lid and particle filter back onto the printer.